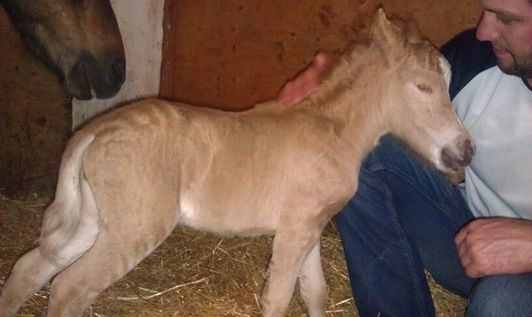 On July 16, 2013 – after waiting for FAR to long, a filly was finally born at WindSwept Miniatures. She was different, I could tell right away when I looked at her on the TV Screen. Hope was born with a rare abnormality called Anophthalmia – meaning she never developed eyeballs. I was forced with a huge decision in front of me. I called my vet and set up an appointment for him to come and fully examine her. 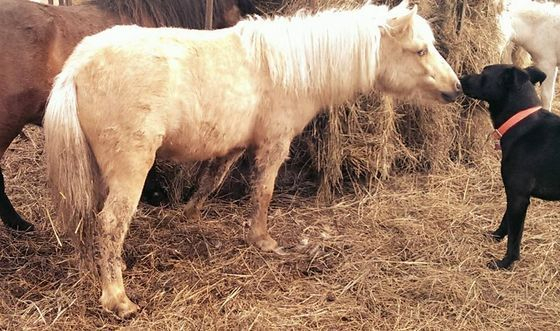 He arrived on July 17, did his full exam, and gave me the news that I needed to hear to make my decision- besides having no eyes; this filly was 100% healthy and normal. This is rare in horses with conditions such as this, and he is surprised, and thrilled, just as I was. So, thus my decision. 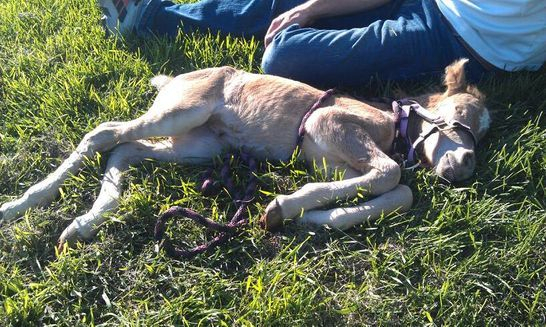 Hope was healthy, active, nursing, and leading a normal foal’s life, just with the slight hindrance of not being able to see. Since the day she was born, she has been my 100% main focus. She is very intelligent, bright, happy, and has so much personality, it could melt anyone’s heart! She is the best lunger, the best baby I’ve ever had to break to halter, and now my best friend. She quickly stole the hearts of my family and friends. I have plans to do therapeutic work with Hope when she is older – nursing homes, disabled children camps etc. It should be known that even though life throws you a curve ball, you can always make the best of the situation. Hope brings me such joy, and love. She was my eye opener (No pun intended). Not everything can be perfect, but they can bring you more joy then you could ever imagine! 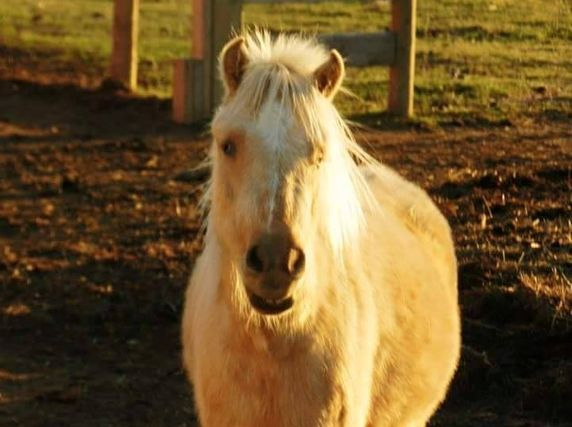 So, I welcome everyone to meet Hope – WindSwepts A Lil Hope N Faith – my 2013 AMHA & AMHR palomino filly who will change my life forever.